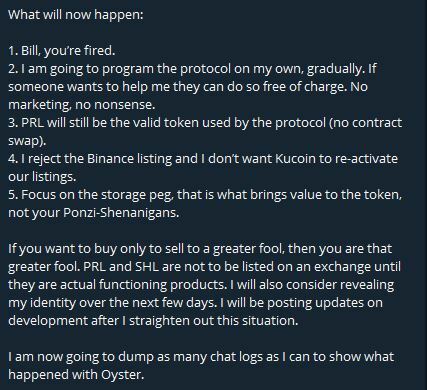 The founder of Oyster Project was behind the massive PRL print and sell-off yesterday, and he has finally spoken about his $300,000 exit. Following reports from yesterday that the Oyster projects PRL coin saw a massive printing and sell-off for unknown reasons, the full story has since come out. While some pointed to a compromise of Oyster’s smart contract protocol, it turns out in fact it was all an exit scam by Bruno Block, according to an Oyster released Medium post. Block utilized a trapdoor mechanism he insisted be implemented, wherein he could (and yesterday did) take unilateral directorship of the Oyster director wallet, and implement an ICO function, printing massive quantities of PRL tokens, transfering them to a wallet which he controlled, exchanging them for Ethereum and BTC, and possibly selling them off for cash. Block apparently decided to do this now to avoid imminent KYC protocols which will be implemented on KuCoin November 1st. All told, Block made away with $300,000, however it is not clear anymore that he actually sold them off. Since all of this has come to pass, Block has responded in a private Oyster chat room, which since has been posted on Reddit. Block claimed that his actions were motivated by a desire to regain control of the Oyster product, which he felt he had lost, as well as a concern that crypto as a whole is a ‘giant ponzi scheme.’ Block in particular spoke to the fact that PRL was listed on Binance as a significant factor in him attempting his crypto coup- something that Block claims is part of endemic ‘insider trading.’ Block accuses developers Alex Firmani and Bill Cordel (who he attempted to fire during his response) of ‘blatant’ pump-and-dump behavior once the coin was to be listed on Binance. All in all, Block was unsatisfied that Oyster didn’t use its revenue to hire enough developers to build a protocol to keep up with crypto prices rising. 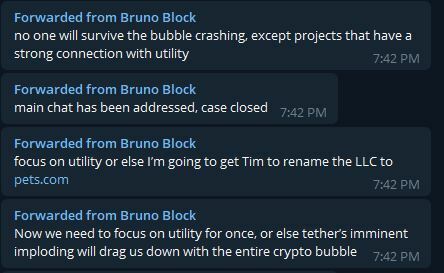 Block specifically notes that ‘no one will survive the bubble crashing except for projects with strong ties to utility,’ implying that Oyster was not doing enough to build a real usable product, and accuses the rest of the dev team of ‘playing chicken’ by holding onto PRL tokens instead of using them to build the system. Block looks to Tether’s recent controversy and detethering as an indicator that the bubble is crashing imminently, which explains his unilateral and radical takeover of the stock of PRL tokens. Block’s actions are predicated on the notion that concerns over Tether will crash the whole market, and that Oyster needs ‘exponential growth’ in order to create a platform of real utility and use to survive the bursting of the speculative bubble. It is not presently clear who will control the Oyster project, but what is clear is that while Block didn’t ‘steal’ anyone’s PRL tokens, he massively diluted the PRL market, devaluing the tokens for anyone holding them. Furthermore, he has clearly alienated the rest of the dev team, meaning that the cohesion of the project is seriously in jeopardy. As more information comes out, the future of Oyster will be clearer, but for now one thing is certain- this is not a promising eventuality for Oyster and the PRL token, and certainly does not ensure the ‘exponential growth’ in users which Block insists is so crucial for surviving the bubble crashing, something which doesn’t seem to be occurring anyway. Go learn about peak oil and the fractional reserve banking system. The stock shale bubble is an obfuscated means to subsidize the price of oil. In Brazil, Indonesia, and other developing nations, the price of oil is subsidized with debt directly by the government. When the debt bubble pops, the price of oil will skyrocket, trucks won't be bringing produce into your city let alone computers won't be spending energy to secure the blockchain. I believe in Oyster as a product, but I don't believe there will be a future to host it. I will program it since the program is a promise from me, but don't complain that Oyster isn't running when a banana costs $5,000. Also of note, Bruno Block is a pseudonym for an anonymous figure that the rest of the dev team knows nothing about. While Oyster’s press release mantains, ‘we will not let his selfish actions today damage the long-term viability of the project,’ it will be quite difficult to recover both PRL’s value and Oyster’s reputation, let alone bring to Block any type of accountability. 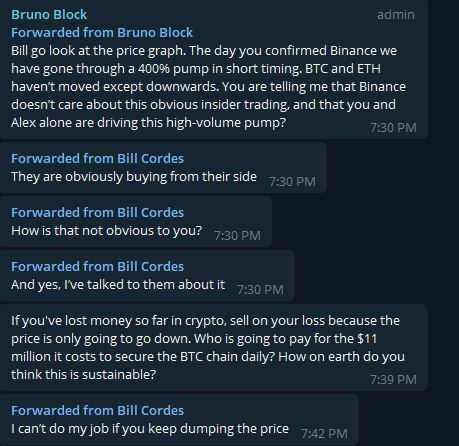 Is there any validity to Bruno Block's actions? This would have been a great article if the author had resisted editorialising and just reported the facts, leaving the reader to make his own mind up.